Have you taken the Belli Challenge? 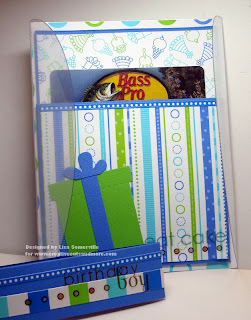 Creative Cuts and More is the bi-monthly sponsor for today's Birthday Card Challenge on the Belli Challenge Blog. Terry from Creative Cuts and More, provided each participant creating for today's Belli Challenge items from the new birthday kits. The items I received are from the Birthday Boy Card Kit, and included the Tag Pocket Die Cut, and Crescent Gate Fold Die Cut. I decided to combine my die cuts for a cute gift card holder. 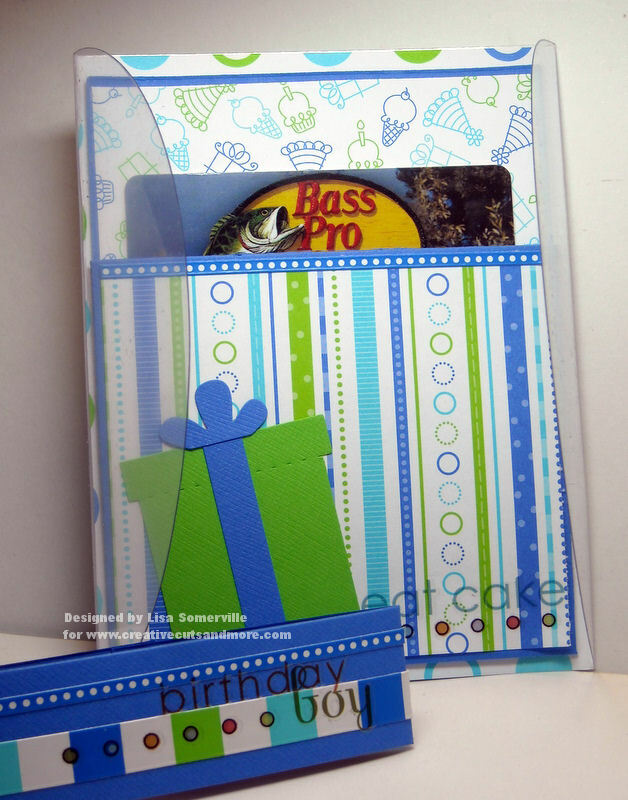 All other items used on my project are also from Birthday Boy Card Kit. Thanks for stopping by, be sure to stop by the Belli Challenge Blog to see what the Belli Girls and other members of the Creative Cuts and More Design Team created for today's challenge. 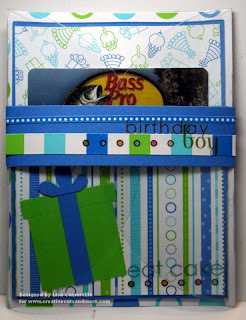 You'll also find details on how you can enter the Belli Birthday Challenge, for your chance to win a Boy Themed Birthday Kit from Creative Cuts and More. Sure makes a great gift card! What a fantastic card! Fab work! Great job, I really like this and the fold of it! Lisa - I LOVE what you did with the pieces of the Boy Kit - FABULOUS! Thank you for joining us in the Belli Challenge!